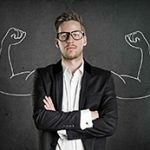 Photo Stream is newly made iCloud which is going to assimilate you and your computer in a few steps. Beware! Is Microsoft really The Evil Empire, or it truly relates to Apple? Well, to be confident, neither one nor another was particularly evil but finding the occurrence of iCloud after the upgrade to iOS 5 on the PC, begin to wonder. 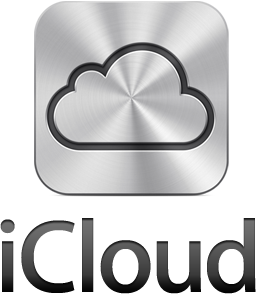 Apple is trying to persuade the users to apply its Cloud service. Is it all right? Then will Microsoft as well start developing soft for Mac? Pretty interesting, isn’t it? The installation of iCloud during the update is thought to be just a method to manage iOS device backups. But really it stands that Apple wills to duplicate information from the PC. Is it possible to avoid the utilization of all free 5GB so fast? There’s an added stimulation way to cinder that free space: use your PC. Apple tries to make people use its Cloud-based charge on all imaginable devices not just Apple intended. Too Smart? After the installation of iCloud along with recent iOS 5 update, the iCloud “App” is hiding in the Control Panel. On the next reboot, it will be seen in a system tray (bottom right corner of the screen). Microsoft Outlook is not commonly used but, at least for now, only Outlook contacts, tasks and calendars can be backed up. Also Internet Explorer bookmarks can be saved. But, be sure, the most trinket of the situation, is the Photo Stream piece of the iCloud app. Let me introduce you a really villainous part: People nowadays take digital photos because it very simple and doesn’t take any special recourses. Why villainous? Because, as usual, everyone desires those photos to be of the best quality. And higher quality means bigger. Big photos take up much more free space. Villainous. So, you’ll have to burn through all five free GBs with a pair uploads from iDevice or PC. And what’s next? You’ll have to purchase more space. iCloud is not so expensive as for instant Dropbox, it can be applied on all iDevices, Macs and now on PC too.